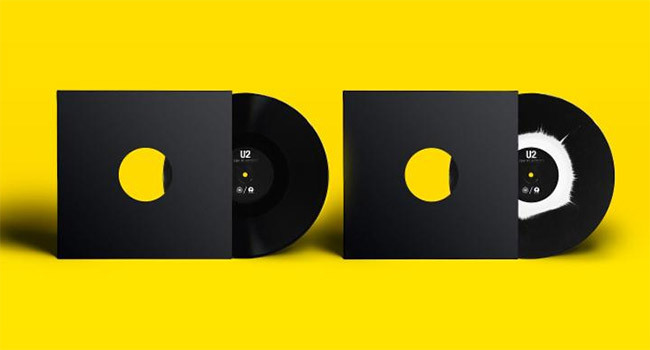 Third Man Records is proud to announce the release of “The Blackout,” a limited edition U2 12″ in conjunction with Island Records. The limited edition U2 12″ will be available for Record Store Day Black Friday, November 24th. “The Blackout” marks the first physical release from U2’s eagerly awaited new album, Songs Of Experience, due later this year. The 12″ includes both the original album version backed by an exclusive remix by the band’s longtime collaborator, Jacknife Lee. Hailed by Rolling Stone as “a dynamic new track,” “The Blackout” was revealed this summer via a surprise live video, filmed during U2’s blockbuster Joshua Tree Tour 2017. “The sound quality of this incredibly special record is a perfect example of the caliber of product Third Man Pressing is capable of producing. We couldn’t be more proud,” Third Man co-founder Ben Blackwell states. TMR’s “The Blackout” 12″ will be extremely limited, with just one single pressing at Third Man Pressing, the label’s state-of-the-art vinyl production facility in Detroit. Black vinyl editions will be available at all participating Record Store Day shops, with 750 colored vinyl editions on offer exclusively at Third Man Records’ Nashville Storefront (623 7th Avenue South, Nashville, TN 37203) and Detroit Storefront (441 West Canfield Street. Detroit, MI 48201) as well as two U.K./Ireland record stores to be announced. Last month, U2 released “You’re The Best Thing About Me” as the first single and video from Songs of Experience, the group’s 14th studio album. While no official release date has been announced as of press time, The Irish Sun reports the project, the follow up to 2014’s Songs Of Innocence, will be released on Friday, December 1st, World AIDS Day, in conjunction with Project Red, an initiative set up by Bono to raise funds to fight the disease.